The African-American and Jewish communities in the United States have a long history of cooperation and tension. To an extent, African-American and Jewish people came into contact through the Atlantic Slave Trade during the seventeenth and eighteenth centuries, but the crux of their relationship has been largely ideological, as the two groups bonded as fellow minorities. For their part, African Americans sympathized and related to the history of the Jewish people facing oppression in both Egypt and Europe. African-American spirituals and slave songs such as “Go Down, Moses” reflect these ties. Similarly categorized as racial others, many American Jewish immigrants related to the plight of African Americans as well. Amidst waves of massive Jewish immigration to the United States and the initial migration of African Americans to the urban North, the end of the nineteenth century increasingly brought the two communities together and laid the foundation for a more complex relationship that would develop and evolve over the course of the twentieth century. By the early 20th century both the Jewish and African-American communities were organizing socially and politically to combat anti-Semitism and racism respectively. Finding many parallels in their quests for equality, the two communities began work together on common interests. For example, four prominent Jewish activists signed the national call that led to founding of the NAACP and from 1914 to 1975, the chair of the NAACP’s Executive Board was Jewish. African Americans and Jews also worked together in numerous other activist organizations, from the Urban League and the trade union movement to the Communist Party. In northern cities, African-American and Jewish communities were connected through business and social relations and often lived in the same neighborhoods, as African Americans faced less resistance when moving into predominately Jewish areas. However, as some Jews became upwardly mobile, many moved to more prosperous neighborhoods. Even as they moved out of neighborhoods like North Philadelphia, Jews maintained rental properties in these areas and increasingly interacted with African Americans as shopkeepers, employers, and landlords. Thus, even as the rise of the modern civil rights movement helped unite the two groups towards a common purpose, tensions were often evident at the neighborhood level. During World War II, the black press supported the war effort through the “Double V Campaign” for victory over Nazism and against racism at home. The African-American community’s well-publicized recognition of Jewish oppression at the hands of Nazi Germany propelled support for the war, as well as support for the Jewish people. In turn, Jewish community leaders and organizations lent their support for securing “victory at home” for African Americans, whose civil rights remained curtailed in the post-war years. During the landmark Supreme Court case Brown vs. Broad of Education, which outlawed public school segregation and declared that “separate but equal is inherently unequal,” the NAACP enjoyed the support of major Jewish organizations like the American Jewish Committee and the American Jewish Congress. United by opposition to the religious intolerance and racism of the Ku Klux Klan and others, Jewish and African-American organizations worked to promote intergroup tolerance. 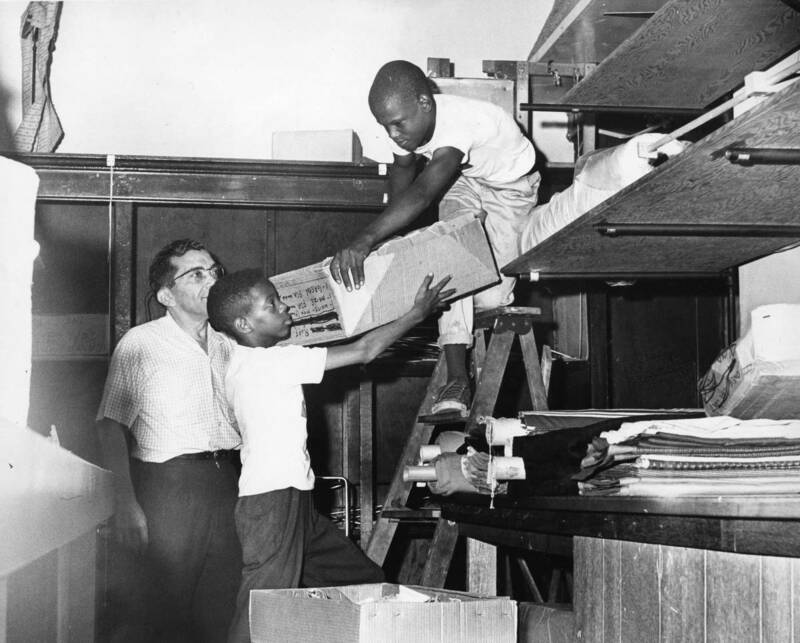 In addition, many members of the Jewish community worked with African Americans on the front lines of civil rights campaigns, including Freedom Summer. In June 1964, the murder of black activist James Chaney and Jewish activists Michael Schwerner and Andrew Goodman, who were working to register African Americans to vote in Mississippi, shocked the nation and garnered national attention for the civil rights movement. 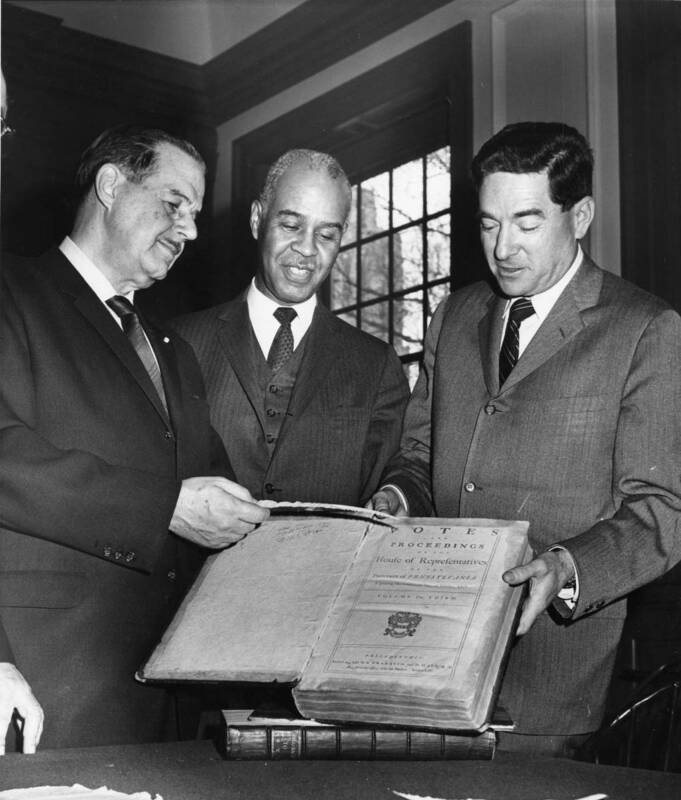 A month later, President Johnson signed into law the Civil Rights Act of 1964, which banned discrimination based on “race, color, religion, or national origin” in employment practices and public accommodations, marking an important achievement for both the Jewish and African-American communities. However, in spite of such progress, the relationship between the two groups became unsettled, as new dynamics within the civil rights movement began to take hold. By the mid-1960s, the civil rights movement’s focus on non-violence was giving way to a more militant approach. Within the Black Power movement, activists highlighted tensions between Jewish and African-American urban communities that had existed for decades. In addition, some black activists drew attention to the fact that while Jews had held leadership positions within civil rights organizations for decades, the same was not true for African Americans within Jewish organizations. At this time, some organizations, such as the Student Non Violent Coordinating Committee (SNCC), began to exclude whites, including Jews, from their leadership ranks and in some cases even excluded them from the organization entirely. The race riots that plagued the urban North throughout the latter half the 1960s further frayed relations between the two groups, as African-American rioters vandalized and looted Jewish-owned businesses. In the wake of the 1964 Columbia Avenue riots in North Philadelphia, some Jewish merchants accused African Americans of targeting their businesses and argued that the riots were actually an anti-Semitic pogrom, while African Americans responded with charges of discrimination from Jewish shopkeepers and landlords. 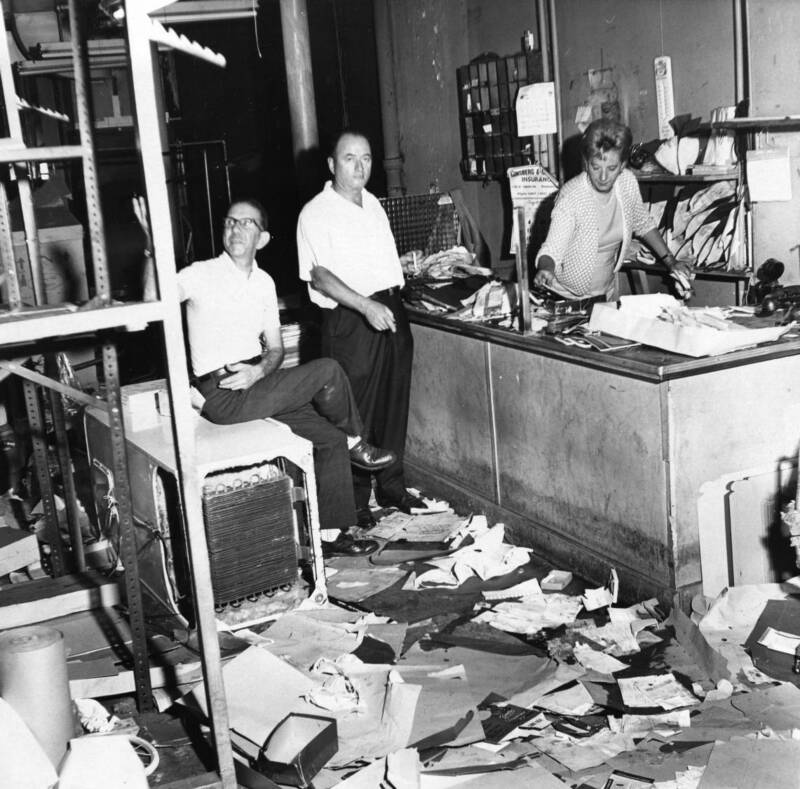 Other observers, including the journalist Lenora Berson, who wrote a report on the Columbia Avenue riots for the American Jewish Committee, pointed out that the rioters were targeting all white-owned businesses, not just Jewish ones. In response, organizations like the Jewish Community Relations Council (JCRC) and the black-led Citizens Emergency Committee of North Philadelphia attempted to mediate between the two groups and encouraged them not to abandon their joint work on civil rights. In many ways, the race riots of the 1960s were an expression of the dissatisfaction that many African Americans felt towards the limited achievements of the liberal reform movement of the 1950s, a movement that garnered much support from the Jewish community. In the years that followed, political relations between African Americans and Jews were marked by cooperation on some issues and disagreements over others, including affirmative action and the Israeli-Palestinian conflict. In these cases, the interests of the Jewish and African American communities increasingly diverged and sometimes overshadowed the once-shared cause of discrimination and civil rights that nonetheless remains a key part of the history of the modern civil rights movement. To view primary source materials about Jewish-African American relations and other topics in Philadelphia's civil rights history, search our collections. Berson, Lenora B. Case Study of a Riot: the Philadelphia Story. New York, NY: Institute of Human Relations Press, American Jewish Committee, 1966. Franklin, V.P., Grant, Nancy, et. al. (eds.). African Americans and Jews in the Twentieth Century. Columbia, MO: University of Missouri Press, 1999. Greenberg, Cheryl Lynn. Troubling the Waters: Black-Jewish Relations in the American Century. Princeton, NJ: Princeton University Press, 2010. “Jewish Community Relations Council--Proposed Questionnaire to Merchants--Columbia Avenue.” Folder 021, box 14, Mss. 155. Jewish Community Relations Council records. Urban Archives, Temple University Libraries, Philadelphia, PA.
"Jewish Community Relations Council--Survey of Jewish Merchants--Preliminary Data (1966-1970).” Folder 022, box 14, Mss. 155. Jewish Community Relations Council records. Urban Archives, Temple University Libraries, Philadelphia, PA. The material on this site is provided for private research use and is protected by the Copyright Law of the United States (Title 17, US Code). For proper use and reproduction of these materials, consult our Copyright and Citation Guide.